This activity started on Monday morning at Dusun Tepanas, Balai Desa Kranji. 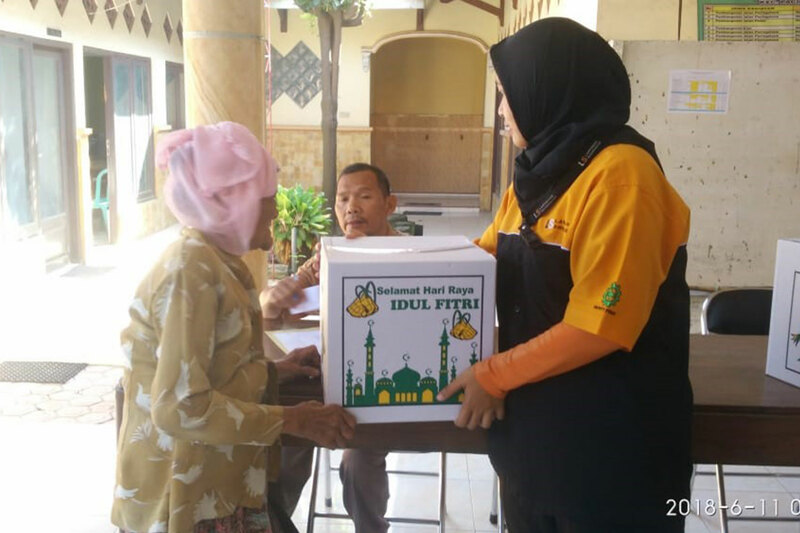 Members of Al-Kautsar Mosque distributed packages of food box to unfortunate widows and elderly. The package contained daily staples such as rice pack, cooking oil, noodles, cookies, etc. We would like to thank the village officials for their support and assistance during the whole event. Hope that we are able to share more good fortunes next year.